It was a golden Breakfast of Champions. 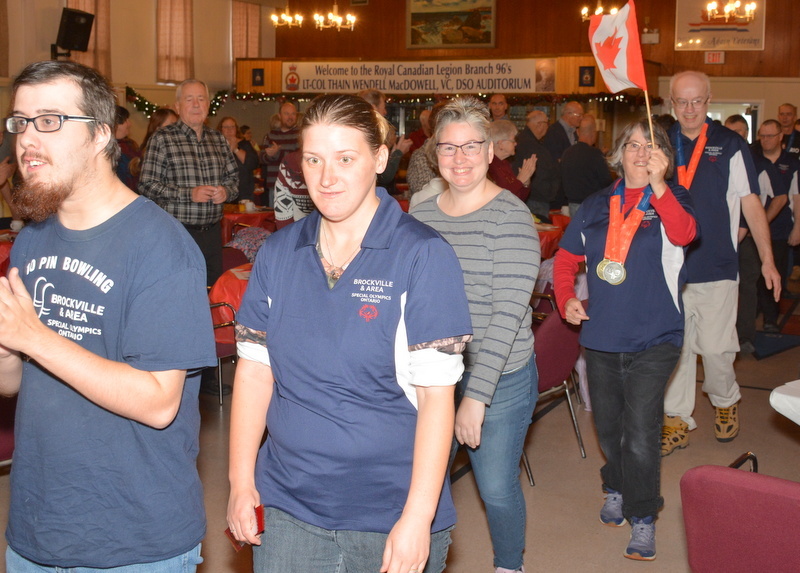 Athletes with the Brockville and Area branch of Special Olympics Ontario were joined by coaches, volunteers and supporters at Royal Canadian Legion Branch 96 on Saturday morning. 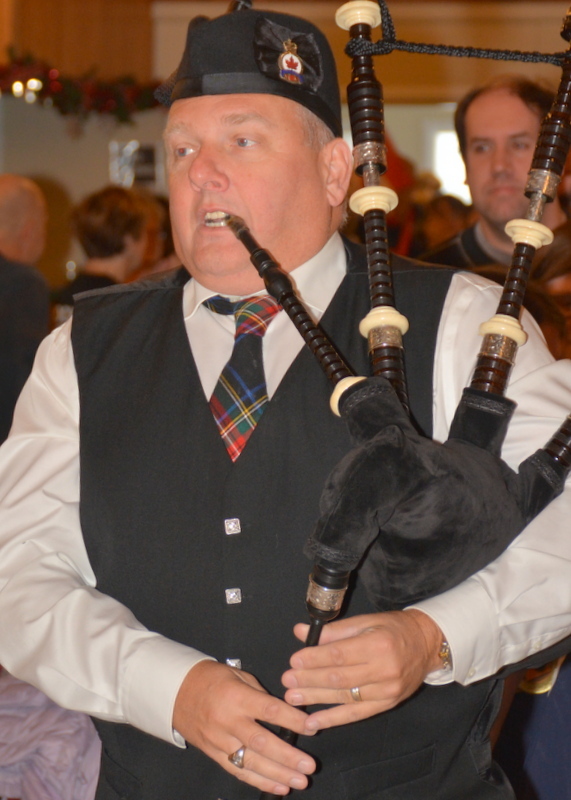 The movement for individuals with intellectual disabilities is marking its 50th anniversary; the local program has been in place for three decades. 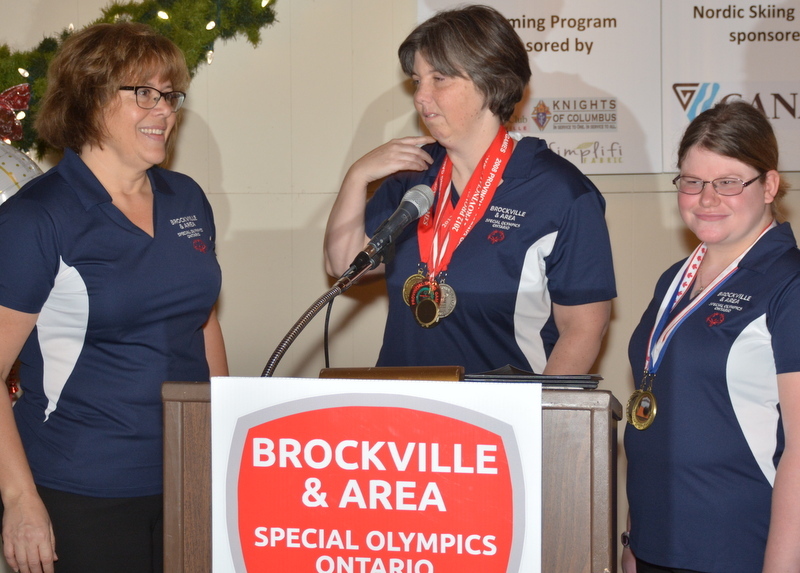 There are about 80 athletes in the Brockville and area program as well as at least 60 active volunteers. 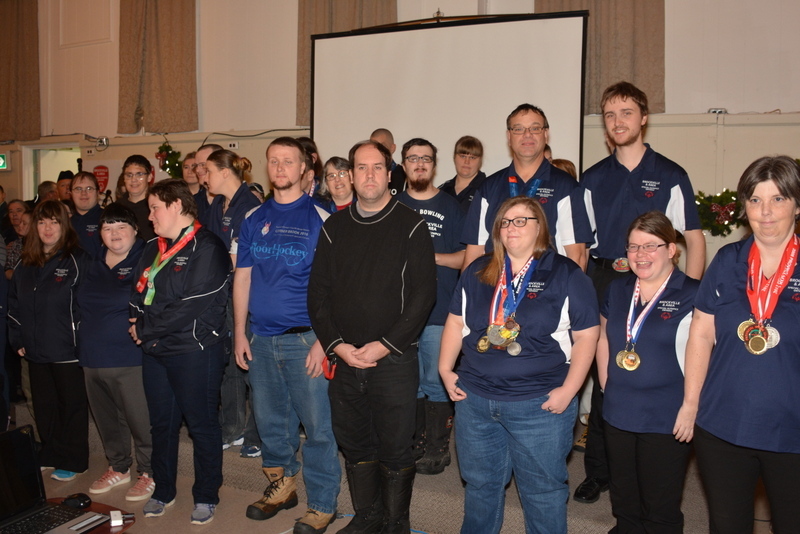 The local organization currently consists of 10 sports: basketball, bocce, Nordic skiing, floor hockey, softball, swimming, track and field, soccer and golf, with curling being added this year. 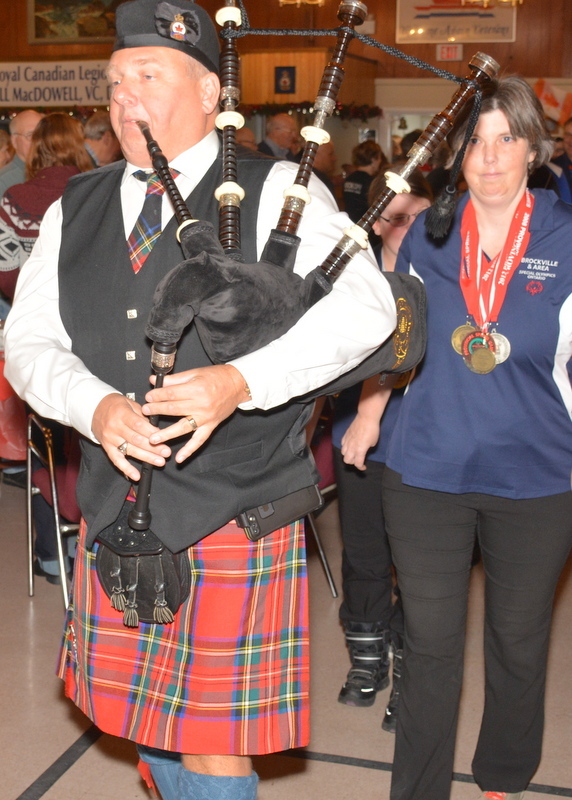 There are opportunities to compete at the regional level and to go on to provincial, national and international games. 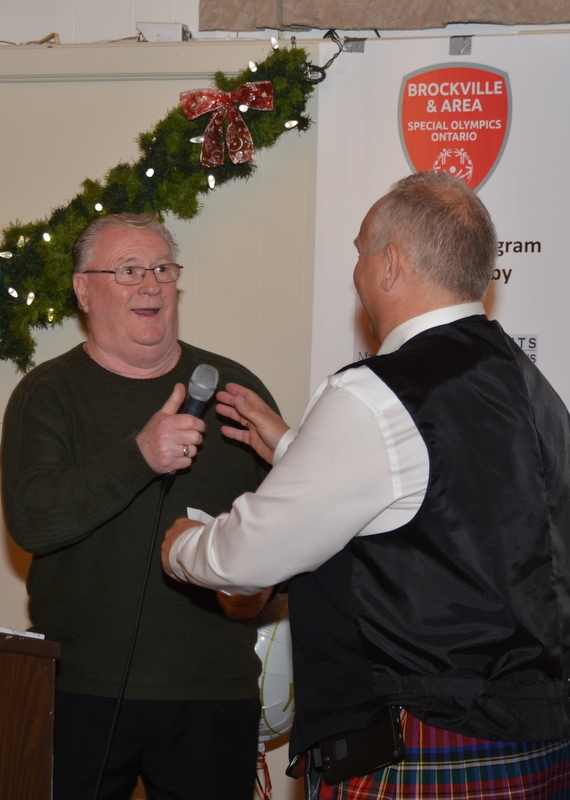 Peter Windsor, who helped spearhead the local program, said he has a large sense of pride seeing how Special Olympics has grown over the years. 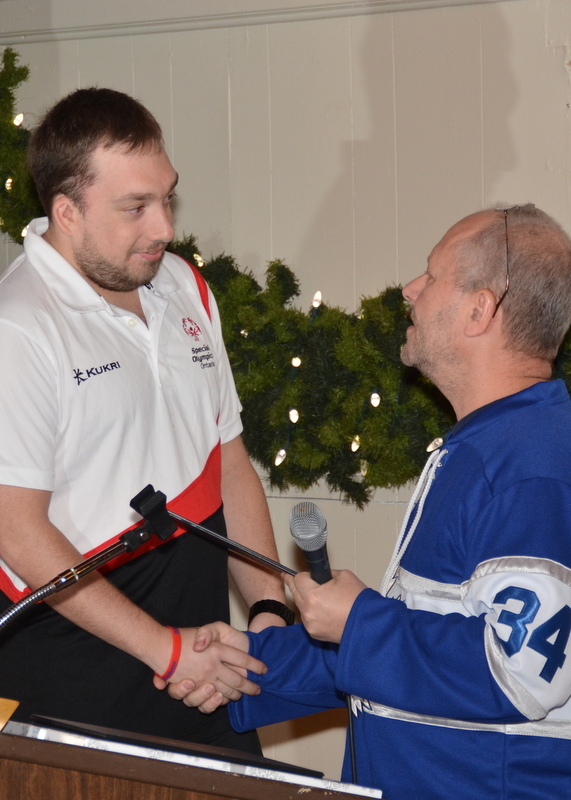 “My heart is very happy,” he commented. 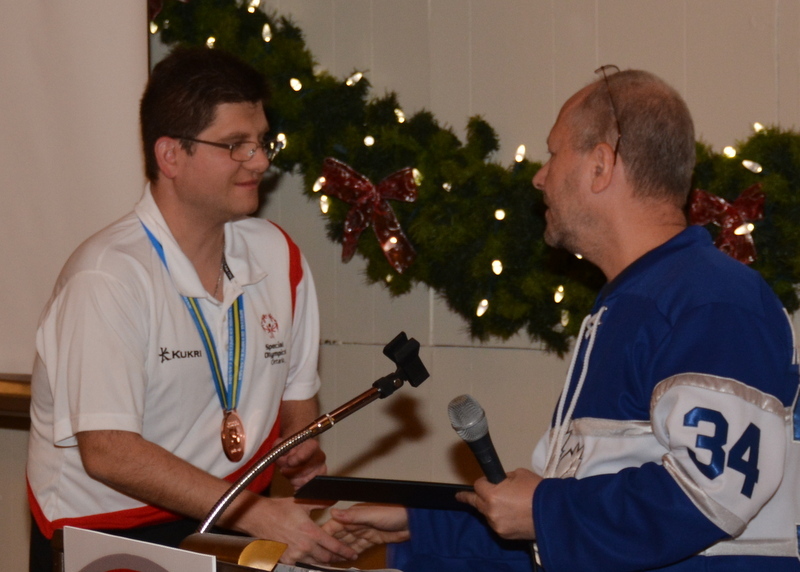 The Special Olympics movement reaches more than five million athletes worldwide. 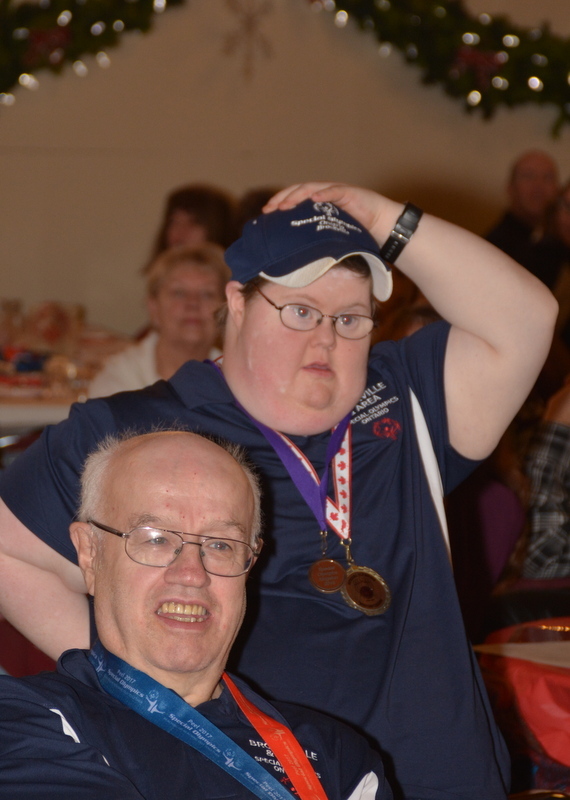 In addition to offering physical fitness and conditioning, the program helps participants demonstrate courage, gain self-confidence, establish friendships and develop social skills. 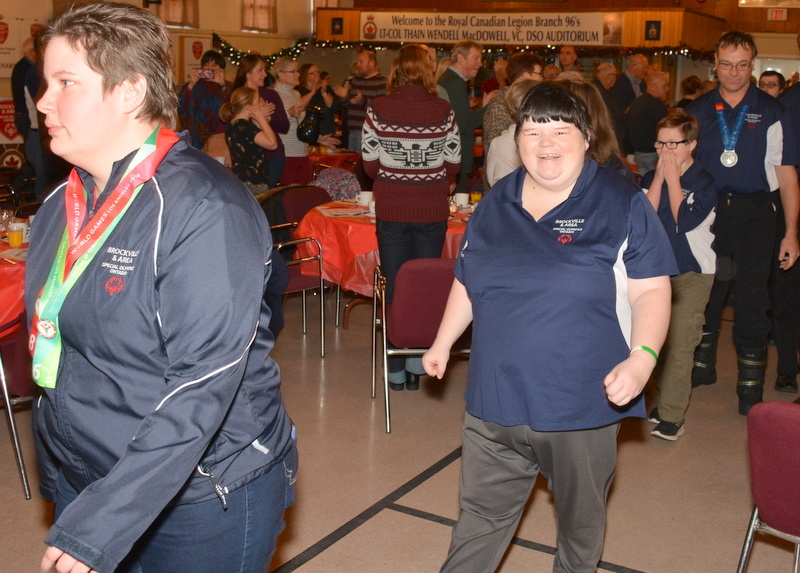 Locally, Special Olympics includes a school program at St. Mary, BCI and TISS.An active start program that teaches basic skills in sports to youngsters between the ages of 3 and 12 ran for a short time in the Brockville, area but is not offered at this time. 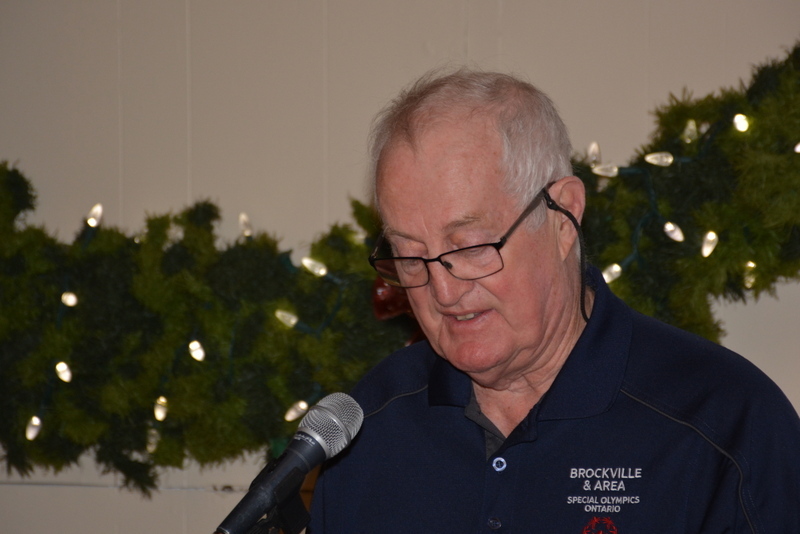 “There’s so much to be accomplished,” said school transition co-ordinator Dave Cavanagh, who noted the organization is always looking for more volunteers. 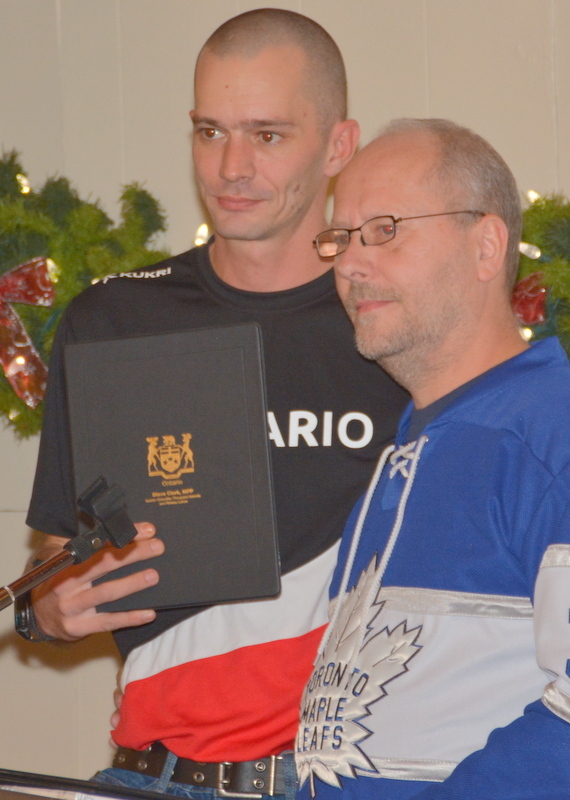 Special Olympics does not receive direct government funding. 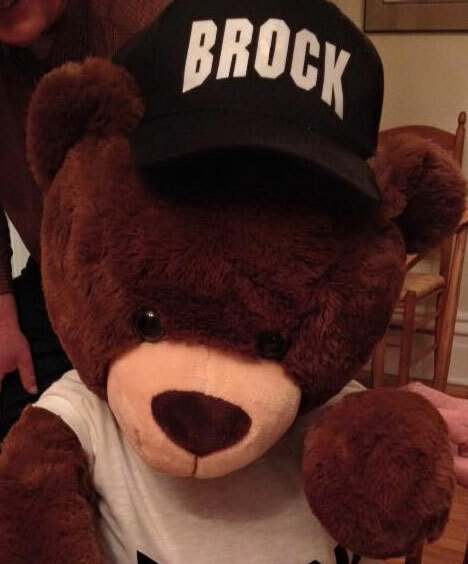 It was noted that the local law enforcement community is a big supporter of the movement. 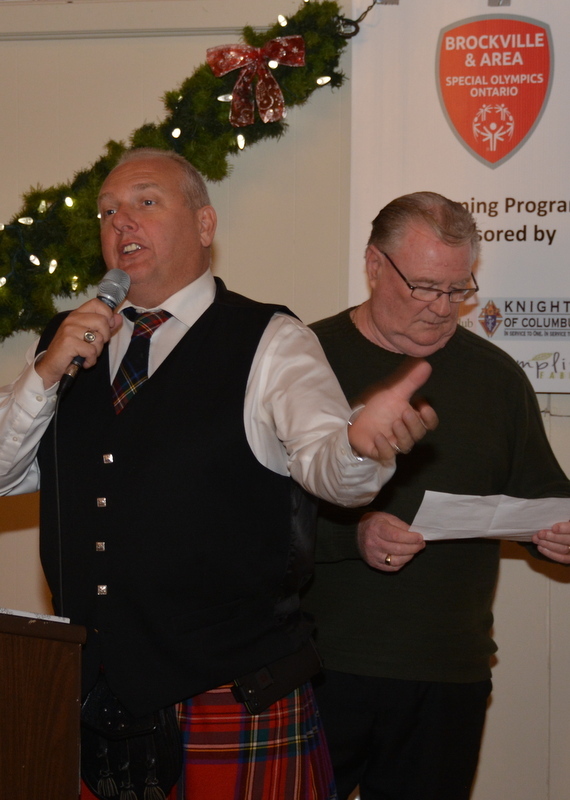 Fraser, who emceed the event with retired police chief Adrian Geragthy, acknowledged the ‘amazing’sponsors that support the local program. 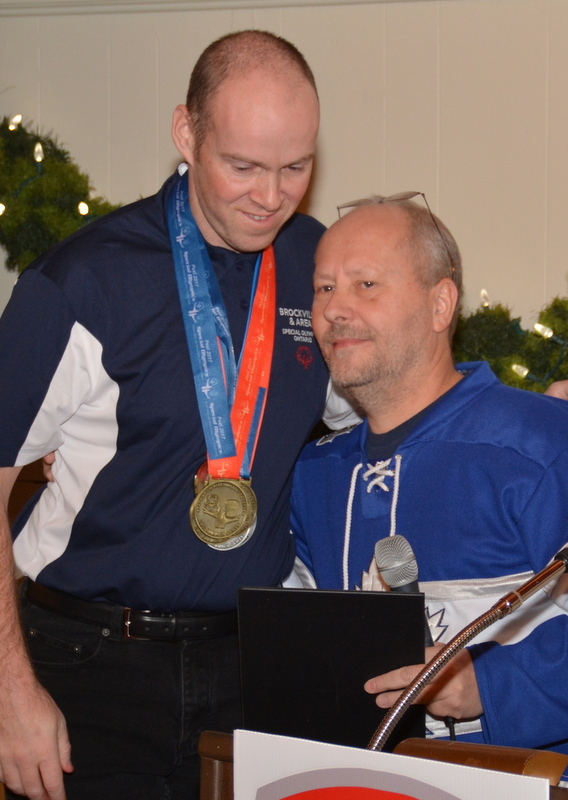 Everyone in the room helps keep Special Olympics going, Fraser said. 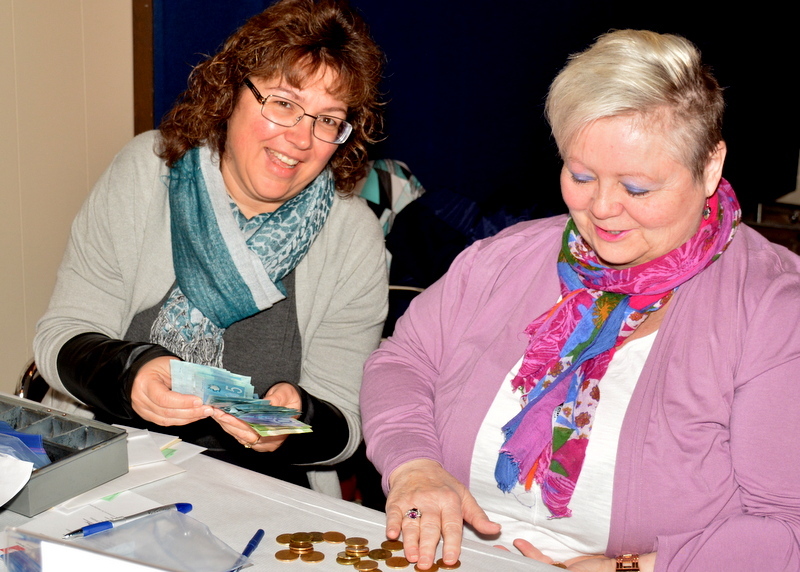 In addition to the ladies auxiliary and cadets who helped with the breakfast, Scotiabank staff were on hand to pitch in at the event.